People’s lives can be transformed by knee or hip surgery. 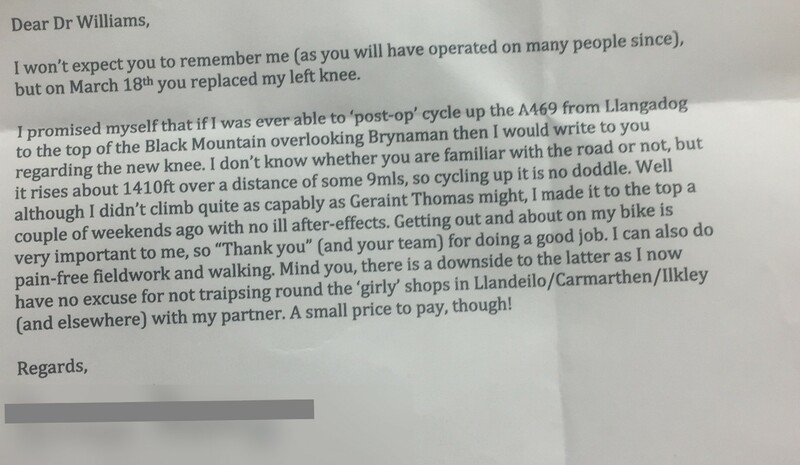 Here is one of the letters that Rhodri has received recently. Total knee arthroplasty in patients with prior adjacent multi-organism osteomyelitis. Does Medial Overhang Of The Greater Trochanter Influence Femoral Stem Position During Cemented Hip Arthroplasty?